Russ Allen wrote an article for The Cape Cod Chronicle featuring Heather’s new art activism film being showcased at the Chatham Orpheum Theater on March 7th and March 23rd. Click above to view an article. Look below for more! 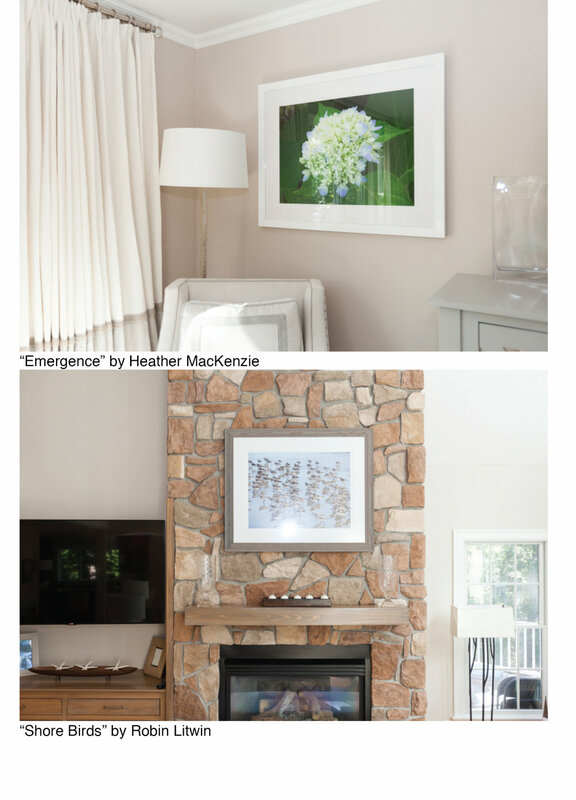 Heather MacKenzie's and Julie Eldredge-Dykens' work has been recently featured in Southern New England Home in the 2016-2017 Annual Edition. Please see the article featuring Heather's Beyond the Sea framed in White and Julie's 3 ceramic fish swimming on a cozy living room corner wall in this picturesque chatham home.